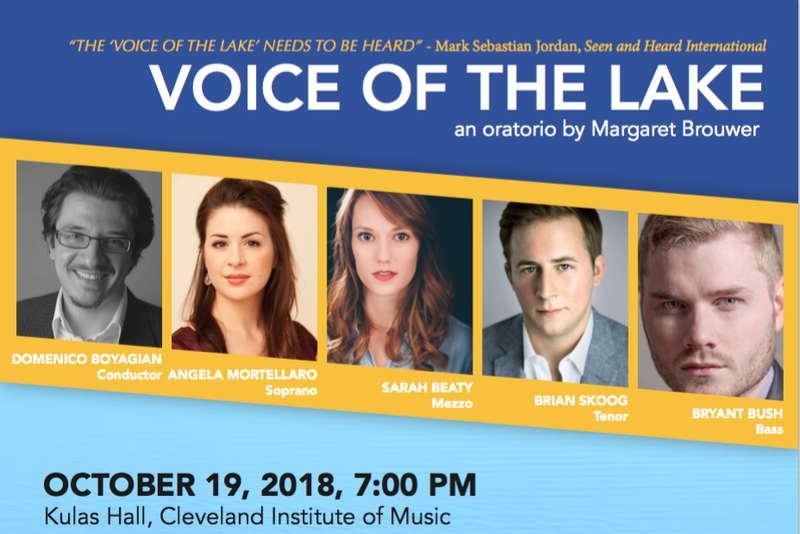 Voice of the Lake, an Oratorio for Vocal Soloists, Choirs and Instruments is a musical description of Lake Erie, the good and the bad, in the first quarter of the 21st century. The music portrays the constant motion of the waves splashing on the rocks, of walking on the beach, of the sun glinting on the water, of children playing in the water, and of the pleasure of a fisherman in his boat fishing. The Oratorio also depicts the environmental problems that the lake faces. After a canoe trip near the algae friendly river, the mezzo shows photos to her friend and sings of the lake where it is filled with algae. She also shows various innovative attempts to control and stop the algae. 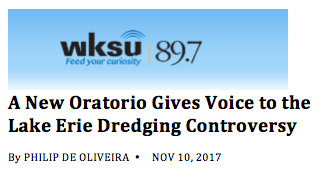 Another section of the Oratorio portrays a public hearing over whether to dump the toxic residue that has been dredged from the Cuyahoga River into the lake. The revised version of Voice of the Lake focuses on factual information in the libretto veering away from using poetic lines. The music is the same, but the words have changed. Plus there are new arias for the mezzo, and for tenor. 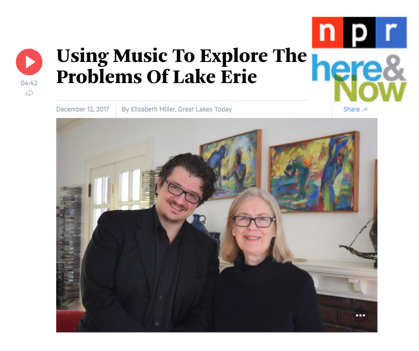 "The 'Voice of the Lake' needs to be heard." This project is supported by generous grants from Cuyahoga Arts and Culture, The George Gund Foundation, the Cleveland Foundation, Bascom Little Fund, and the Ohio Arts Council, which receives support from the National Endowment for the Arts. But we still need your donations to help us reach our goal of matching these grant awards!